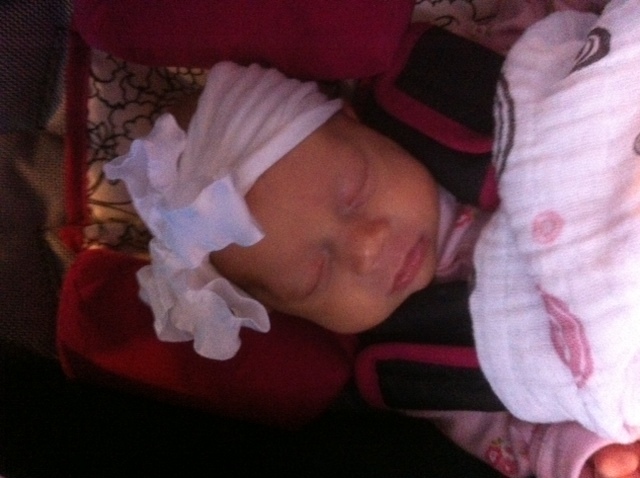 We have survived week one with the girls home. Well, barely! Haha. It has been both wonderful and utterly exhausting. 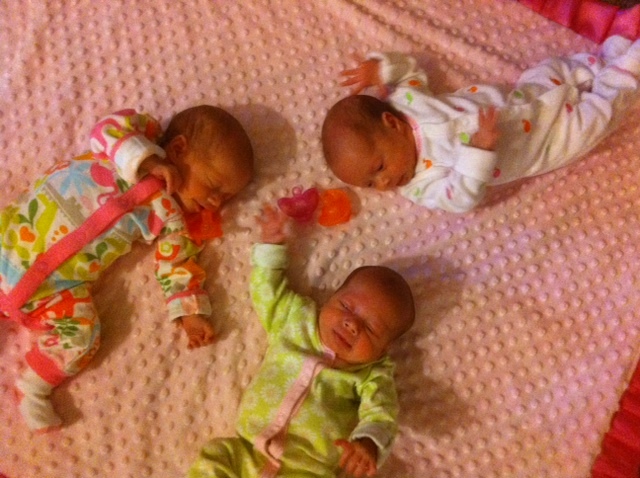 Having them home is a better trade off than driving to Mercy everyday or calling the NICU every night to check on them. We knew this would be challenging, but it is really a doozie. We know we will get this down pat and be super parents before long. We have had our family over every night taking shifts. Three girls is a lot to handle but I plan to master it! 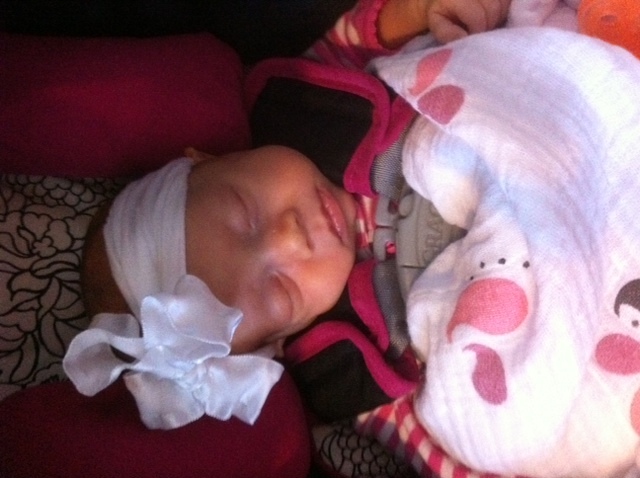 We had a lot of great FIRSTS this week. I thought it would be best to share them in pictures. 1. 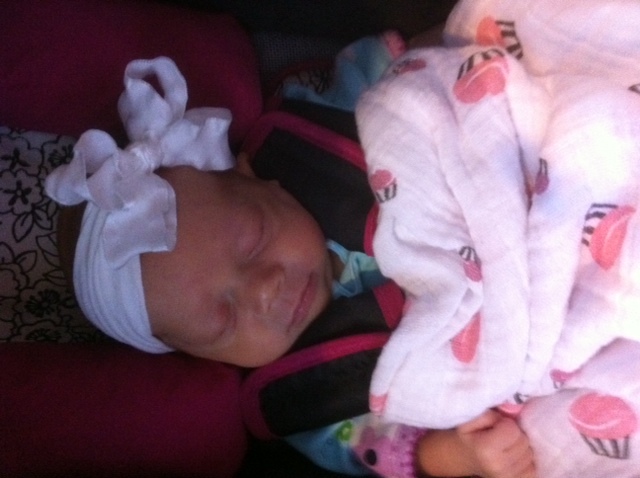 First and second trip to the pediatrician. They did excellent. It would of been a hoot if someone filmed Bryan and I getting them ready and loading them in the car. 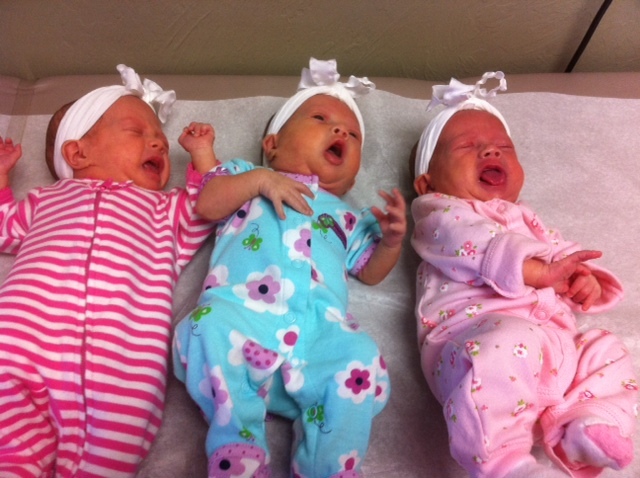 We walked into the waiting room to many stares and people saying, “Oh my…triplets.” The girls are doing fantastic and growing like crazy. Their visit today was even better. 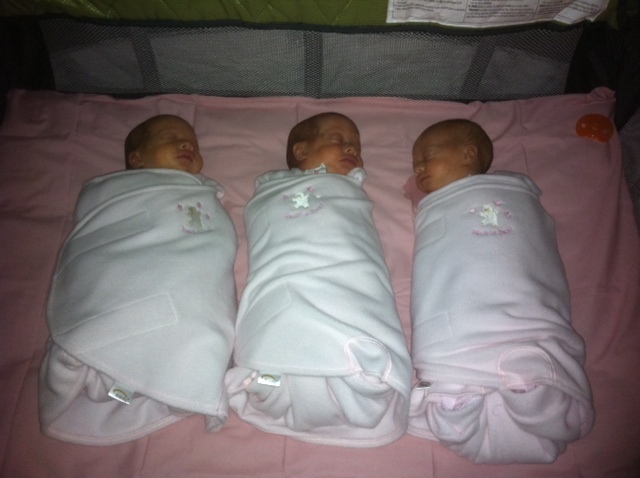 Here are their weights: Avery is 5.11, Camdyn is 5.6 and our Lil Sprite Emily is 5.1! Goodbye four pound babies. 2. 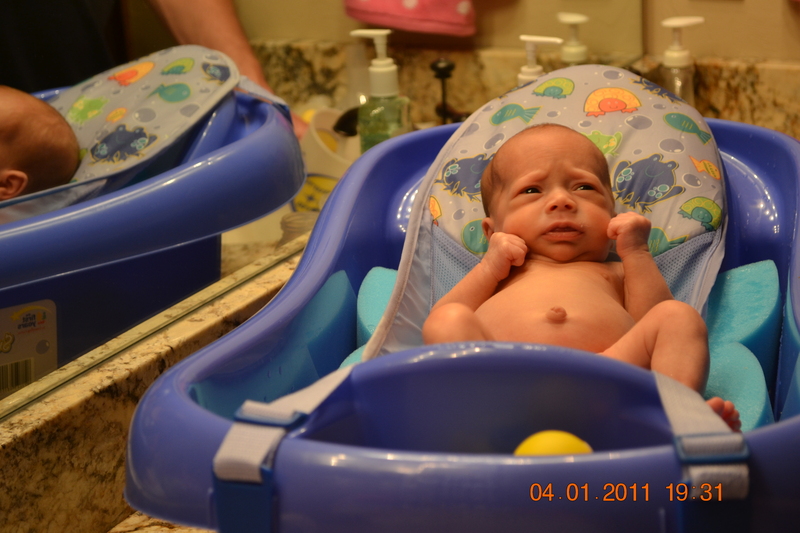 First baths at home. 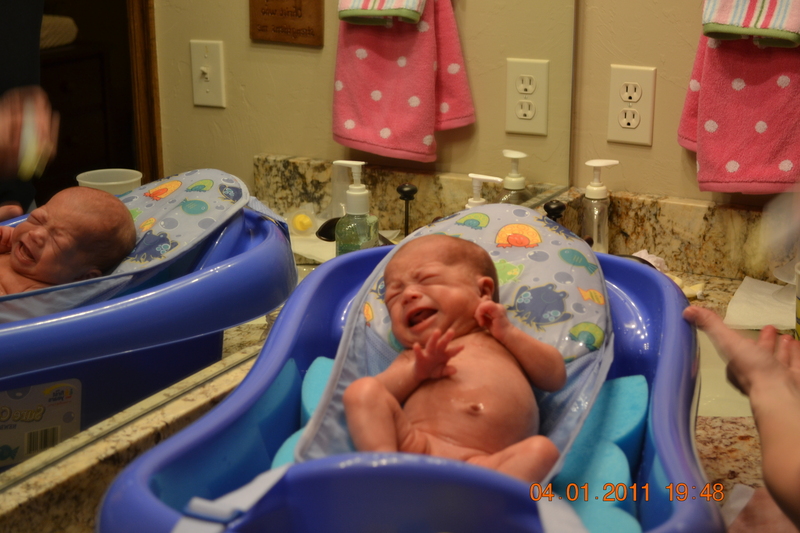 Two out of the three girls managed to somewhat not totally scream through the bath. Avery didn’t hold back crying. But, they look so cute naked! 3. 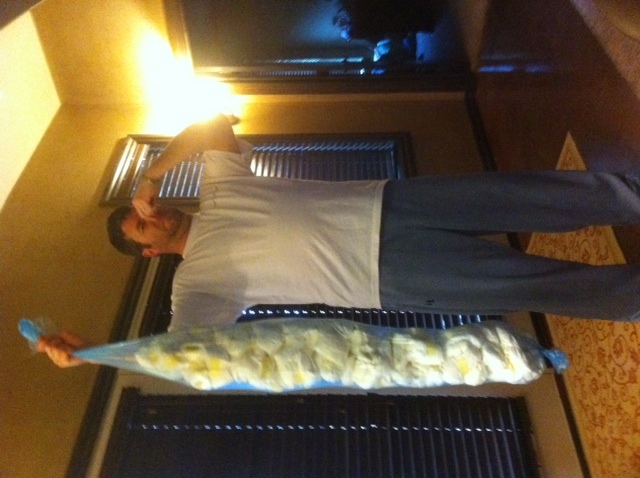 First time to empty the diaper genie. 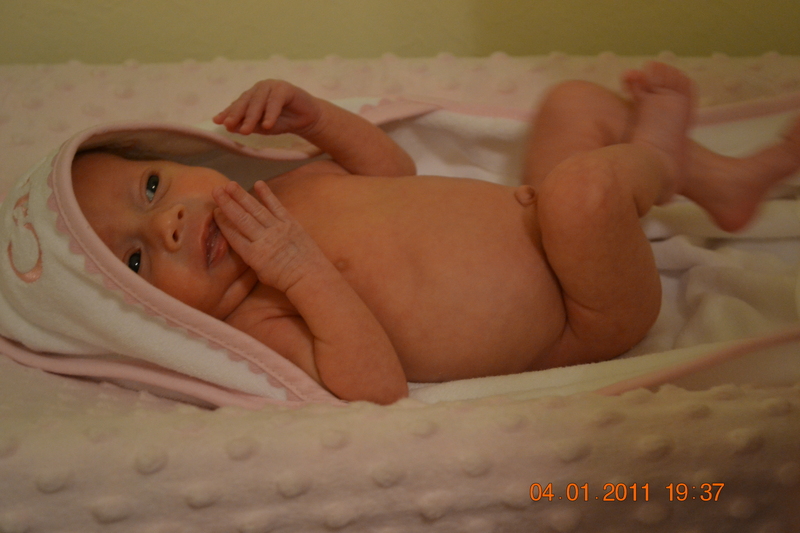 In one week, we went through an average of 24 diaper per day. 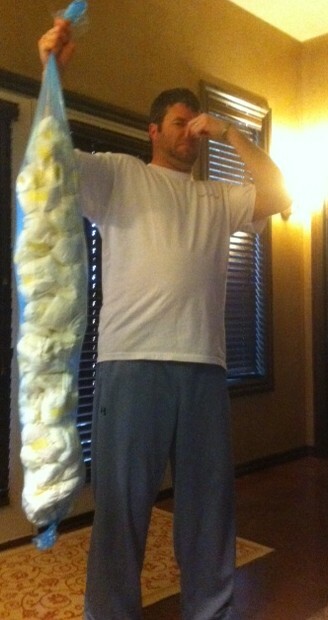 In seven days, that is 168 diapers! Holy crap…No pun intended. 4. 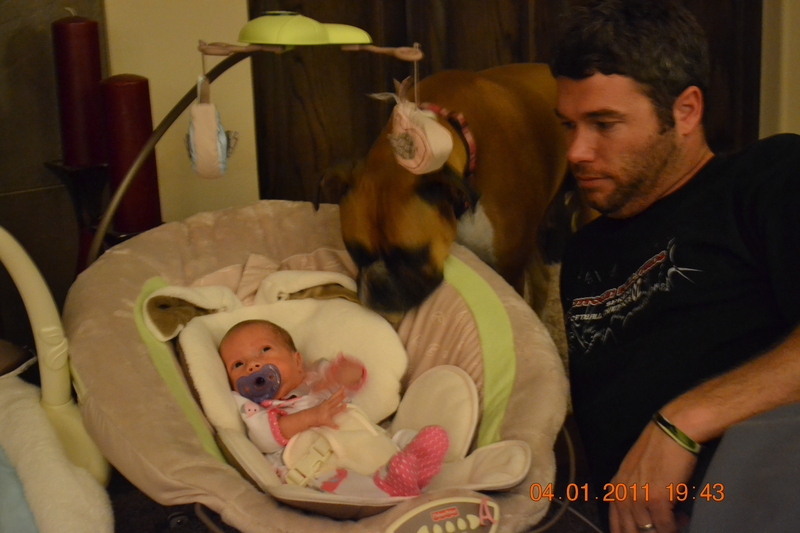 First time to introduce Stella to the girls. She did great! 5. First time to lay them on the floor together. They coo’d and looked at each other and just kicked their little legs around. It was precious. More to come…This week has already been better in regards to sleep so we pray the pattern will continue. Even if we get it for a few nights out of the week I will take it! Love these girls so much already! ← The Girls Homecoming – A chapter ends and one begins! The girls look so good and so much alike. I am so happy to see that they are all over 5 lbs. Hope mom and dad get some rest soon! Sounds like you are getting in a routine. I miss the girls but am so glad to see them home thriving.